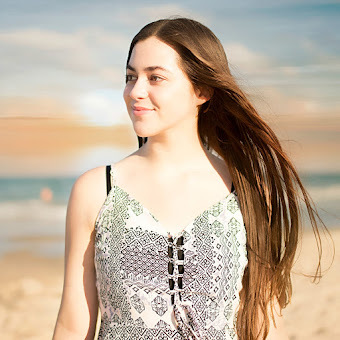 Today I decided to write about my experience with head injections in an attempt to get rid of my never-ending headache. If you haven't already read my previous posts about living with New Daily Persistent Headache then this probably won't make any sense. 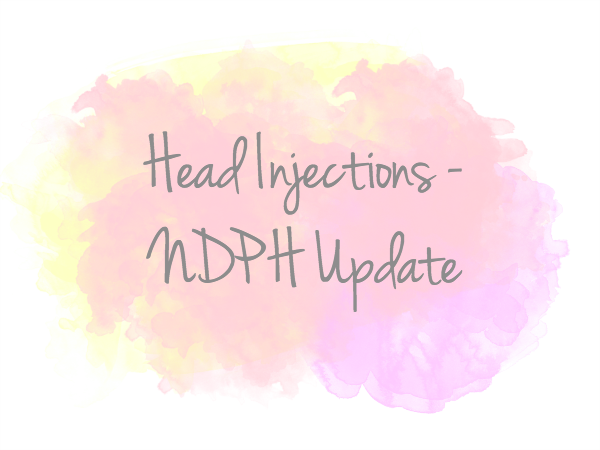 You can read all of my updates to follow up (if interested) in the 'NDPH - Headache' category. Last week I went to the hospital to try headache injections (that I originally thought were neck injections) in an attempt to block any feeling. It was the weirdest feeling afterwards because the back of my head was completely numb but I could still feel my headache prominently. My dad and amazing friend Emma came with me to the appointment, which I was quite nervous for. I've never really liked needles or tubes or anything like that, so the thought of having needles injected in either my neck or head really freaked me out. I had to go into the actual procedure myself but the nurses were lovely so I relaxed a bit before everything started. First, they asked me to lie face down tilting my head slightly to one side. They then parted my hair where the injection would go before wiping it down with alcohol to clean the area. A very generous amount of gel was applied in the area, creating a lovely mess for me to wash out later. The local and steroids were then injected into the back of my head. I'd love to say that it just felt like a small pinprick but I'd be lying. The injection hurt. It hurt more than I even thought it would so I was dreading doing the other side. But of course I had to do it anyway, so once again they split my hair on the right this time, wiped it down with alcohol then applied that annoying gel. The right side hurt even more. I also vividly remember my nose burning when the nurse placed the cotton pad with alcohol on it right next to my nose. After the procedure was finished the back of my head was beyond numb. My head was exactly the same but they said it would take a bit of time. A week they said but I've read that it could take a month. I still have my hopes up as this headache is really driving me insane. When the local anaesthetic wore off the back of my head felt quite bruised and sore, though now it feels all normal again. So hopefully this begins having some sort of effect soon! God, that sounds terrifying to me! I never want any sort of needle near my head or neck; otherwise, I'm good with them.